The Wonderlic test is a simple, 50 question test that measures your intelligence based on math, logic, and reading abilities. The test is administered over twelve minutes, and your correct answers are totaled to equal your final score. Interestingly enough, there is a basic formula for determining your IQ, or Intelligence Quota, using the Wonderlic intelligence test. To do this, multiply your Wonderlic score times two, and then add 60 points. For this reason, many people seek a free Wonderlic test that they can take, so they can get a basic idea of how smart they are. There are numerous resources for a good Wonderlic test on the Internet. However, to not waste your time, you must be sure that a free test is reasonably accurate. There are several ways to detect if a Wonderlic test is not accurate, just by how the test is designed. If the test has less than fifty questions, it cannot accurately score your intelligence- there is simply not enough data to arrive at an accurate score. Besides, if the test allows longer or shorter than twelve minutes (the actual time that the Wonderlic test allows), then the results of a free test cannot be accurately scored either. The last method for determining whether or not a Wonderlic test is worth your time to take is to examine the question organization, and content. A true Wonderlic test will be composed of math, logic, and reading abilities- as mentioned above. Sample logic questions must contain spatial reasoning questions, which are questions that are designed for you to interpret a picture or diagram. These spatial questions most commonly ask you to imagine if two gears are turning, for instance, and then ask what the impact of a reverse direction in a given gear turning will have on the entire assembly. For most people, these are the hardest questions to answer, and they are also the hardest to write. Simply, if someone puts together such a test on the Internet, they often do not take the proper time to create the test accurately. In this figure, let's say that wheel A is moving clockwise. What direction will wheel B then move if the spokes of the wheel contact the spokes on wheel B? As you can see, the free Wonderlic test question above forces you to use your imagination to determine what direction wheel B will be moving. The correct answer is counter-clockwise. In addition to the types of questions, any free Wonderlic sample test will also be organized the same way that the real Wonderlic test is organized. The Wonderlic test is organized by presenting the easiest questions first, giving you ample time to get as high of a score as possible. It is designed this way so that if you score poorly on the harder questions, you will still get the easier ones correct. Besides, this prevents a faulty test score by the simple logic of if you are not able to answer a question number 40 correctly, you are not going to answer question number 50 correctly. 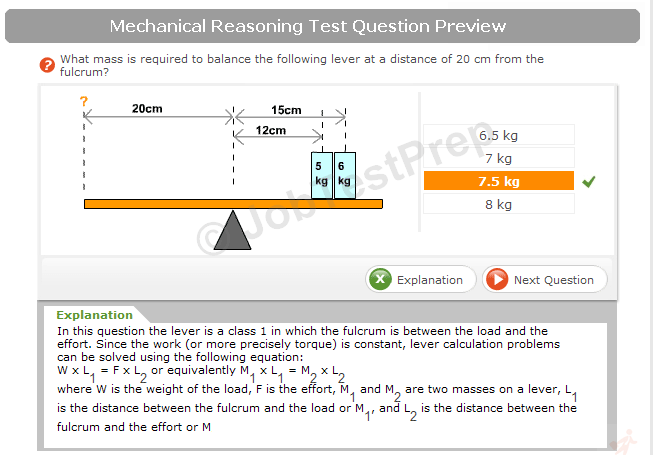 Similarly, if you can answer question 40 correctly, you should also have answered questions 1-49 correctly. Apparently, this is not always true, but it is a good generalization. 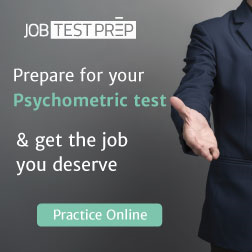 No matter if you are searching for a free Wonderlic test based on entertainment, or for serious pursuits, you should bear these important facts firmly in mind when making a decision on which free test to take. Even though it doesn't cost anything (besides your time) to take an incorrect test, the results if not accurate can lead you to believe a wrong score. A score of 20 is average, 40 is a genius, and ten is borderline illiterate. Have fun taking your free Wonderlic test on the Internet, and remember: we are all unique in this world, our test scores included!